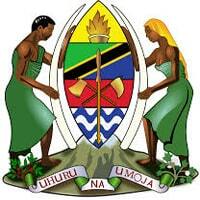 Gaming Board of Tanzania is a regulatory body established under the Gaming Act No. 4 of 2003. Its main functions are to oversee, monitor, and regulate the conduct of gaming activities in Tanzania. Conducts periodic inspection of licensed operations to assess compliance with the gaming legislation. Conduct inspections of prospective gaming premises to determine suitability for gaming operations. Prepare timely inspection reports on inspected gaming licensees. Conducts verification on the accuracy of all returns received by the Board from gaming operators. Guidelines issued by the Board. Conduct periodic reconciliation of information and data on the conduct and outcome of lottery operations. Develops and maintains database of gaming devices and other relevant information. Monitors performance of licensees and their compliance with gaming legislation. Undertakes any other relevant duties as may be assigned by supervisors from time to time. Holder of Certificate of Secondary Education Examination; Class C Driving Licence and Trade Test Grade III plus driving experience of not less than three years. VIP drivers Certificate will be an added advantage. Ensures that the vehicle assigned to him/her is maintained, serviced regularly, kept clean and parked at a safe place. Reports any defects in the vehicle assigned to him/her. Attends to any minor mechanic fault and report promptly on any detected fault. Sending vehicle for service when due. Maintains a logbook and record all movements of Board’s vehicles as instructed. Dispatches outgoing mails and other documents. Holder of Certificate of Secondary Education Examination with passes in English and Kiswahili, demonstrated ability to speak and write formal English, polite attitude, Good time Management skills, Receptionist Certificate and ability to operate modern switch Boards, plus at least a Certificate in customer relations management. Receives visitors, ascertain nature of their business and guide them to respective offices. Maintains register of all outgoing calls, indicating the originating extension and the calling Officer. Any other relevant duties as may be assigned by supervisor. Holder of Certificate of Secondary Education (CSE) or Advanced Certificate of Secondary Education Examination (ACSE) with passes in English and Kiswahili and a Diploma in Records Management from any recognised institution. Administering and monitoring movement of files in and out of the registry. Identifies and retrieves information held within records. Carries out general record management activities. Opening new files and closing files which have no capacity to carry more documents. Holders of Bachelor Degree in Accounting or equivalent qualifications from a recognized institution. Must be computer literate but knowledge on accounting packages will have added advantage. Maintains and updates Fixed Assets Register. Performs other relevant duties as may be assigned by supervisor. Holder of ATEC or equivalent qualifications. Holder of a Bachelor Degree in Accounting, Finance, and Information Systems, Knowledge of ACL Data Analytics is Mandatory. Names and addresses of three referees.